Recently, a close friend of mine asked me to do an appraisal on a round brilliant cut diamond that she inherited. The diamond had been her grandmother’s and was passed down to her mom and then to her. According to her family, the diamond was of very high quality (F-G color with VVS range clarity), although not certified by any gemological laboratory. She was under the impression it was a very valuable diamond. she purchased from a local retail store. After wearing the necklace for some time, she decided that she would like to have insurance on it and so I was asked to examine the necklace for an insurance replacement value appraisal. When I looked at the diamond under magnification I was shocked to find that the stone was clearly chipped…. and of course, I had to be the one to break the disappointing news. To my friend’s dismay, I was immediately concerned that the diamond might have been damaged somehow during the time of her wearing it. I asked if she was aware that the diamond had a chip…she replied that she did not. I asked if the previous jeweler who set the diamond had disclosed with her that there had been any damage to the stone when setting it, she also replied no. 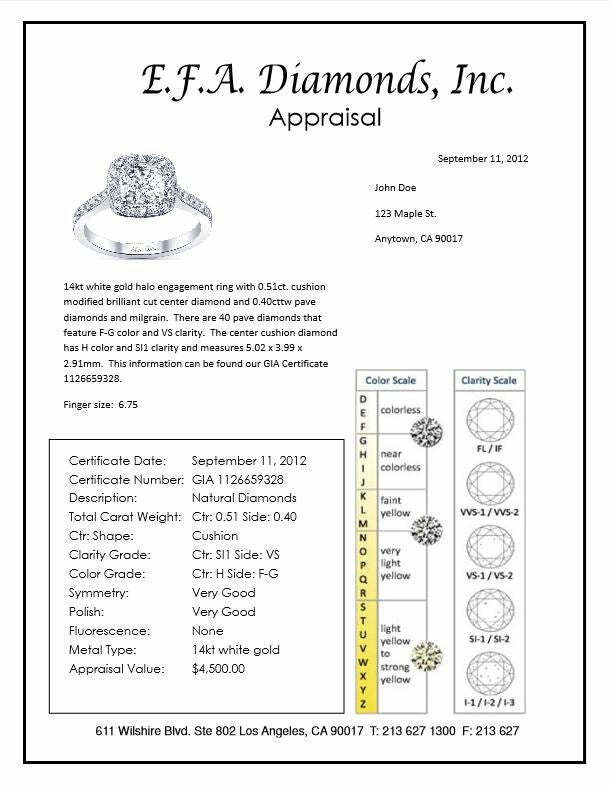 As a gemologist, I knew any reputable jeweler would have performed a formal “check in” screening of the diamond before ever tampering with it. This is standard procedure at deBebians. The fact that the jeweler had not disclosed that the diamond was chipped either before or after setting it in the pendant was extremely unsettling for me. Although the chip was not huge, it was enough to knock the diamond out of a VVS-VS clarity range for it was visible to the naked eye. What could have been evaluated in an insurance replacement value appraisal for around $18,000 (based upon the initial information provided) was really only valued at around $8,000. As the story turns out, my friend went home and did a little more research on the stone and discovered that her family was well aware that the diamond was chipped. They never knew a chip qualified as a clarity characteristic so they never thought to say anything. I am still shocked that a jewelry store would set a diamond without disclosing that the diamond was chipped. Fortunately the diamond was otherwise okay, and in the end there was no further harm done. It is my recommendation to have a jewelry appraisal done on valuable jewelry as soon as possible once the item has been purchased and received.